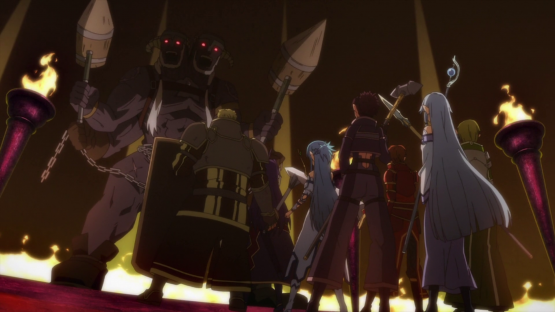 Sword Art Online II: Part 4 finishes the Mother’s Rosario arc and wraps up the second season, and it’s more than worth the watch. 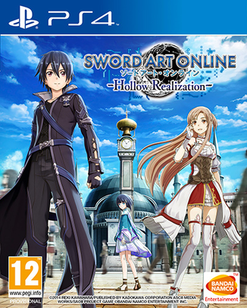 The Mother’s Rosario thrusts Asuna into the spotlight as she becomes fast friends with fellow MMO player Yuki, and it’s not long until Asuna learns that something is wrong with Yuki and that she spends almost her entire life inside video game Alfheim. There’s plenty of care-free adventures that portray MMO’s as the harmless fun that they are, but it also has an emphasis on how playing online with others can help you to form life-lasting friendships and that they’re incredibly important to some people. Mother’s Rosario had me in tears, and it quickly became one of my favourite Sword Art Online arcs and it looks phenomenal in Blu-Ray. 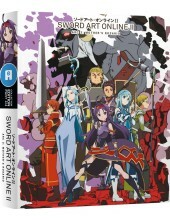 Sword Art Online is arguably one of the most eye-catching anime around with high production values that are evident in the animation – season one looked great, but season two looks even better. With a slew of new characters introduced for the Mother’s Rosario arc, it’s clear that A-1 Pictures understood and respect the source material and brought all of these new characters to life splendidly. The action scenes are tense and explosive, and I’m a big fan of Alfheim (although it certainly was not the best arc in the first season) so it’s nice to see it’s colourful, lush nature get the focus once again. Some of the scenes, particularly one in the final episode, are handled so beautifully and the OP and ED are nothing short of brilliant. Erica Mendez joins the cast as Yuki with Erika Harlacher as Siune, Erica Lindbeck as Nori and a few other hugely talented voice-actors and actresses taking on the role of the new characters. 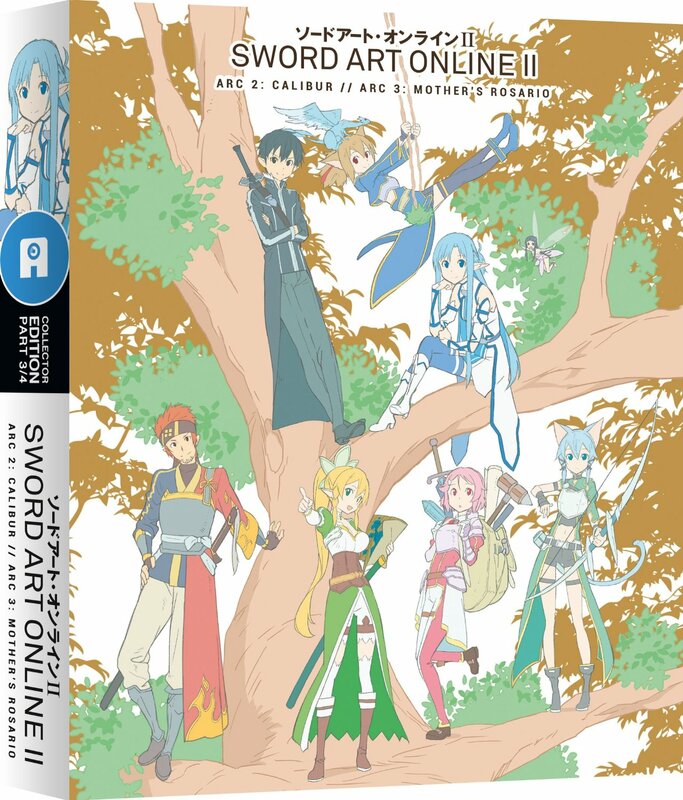 Of course, returning voice talent such as Bryce Papenbrook’s Kirito, Cherami Leigh’s Asuna and Michelle Ruff’s Sinon return and help Sword Art Online to feature one of the best English dubs around. The soundtrack is equally outstanding and, again, I love the OP and ED but the rest of the tracks stand alongside them proudly – composer Yuki Kajiura has done an excellent job, and it’s no understatement when I say she’s one of the best composers in anime. 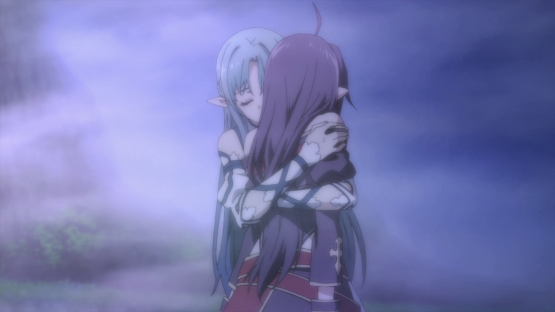 Sword Art Online II: Part 4 is the perfect end to season two and I adore it. It quickly became one of my favourite arcs of the series and despite being a brief arc, it’s short but sweet and does everything that it set out to say and do. It’s a heartwarming, tearjerking experience with great pacing and several bombastic battles and set-pieces, and it goes without saying as this is part 4 and I’m sure fans will already be planning to pick this up, but you don’t want to miss it. 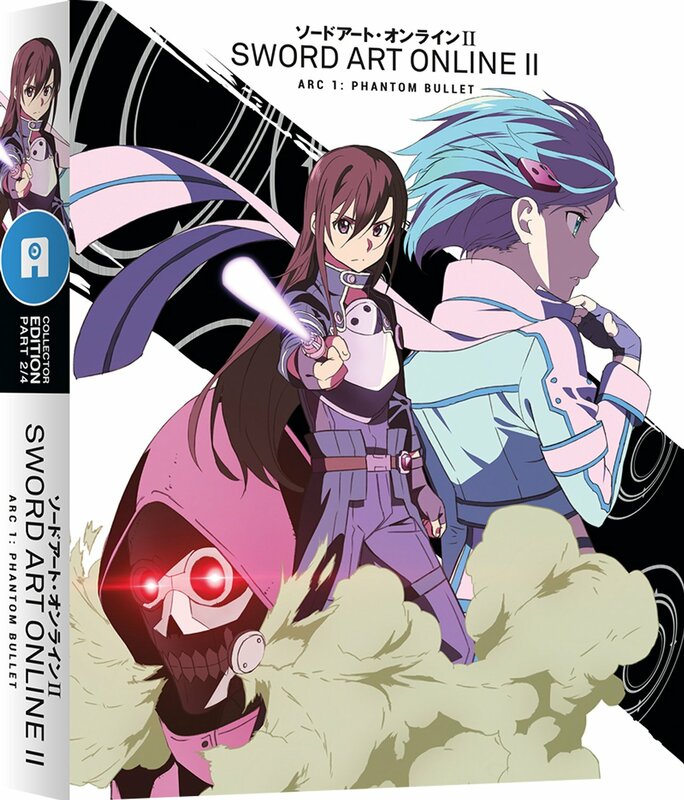 Overall, I’m very pleased with Sword Art Online II and think it plays from strength to strength whilst introducing the lovely Sinon and Yuki, and I have little to complain about. It kept me entertained and further turned me into a big fan of the series, and I know I’ll be rewatching it.